If you’ve never been able to stick with meal planning long term, then you need to break it down into smaller steps. 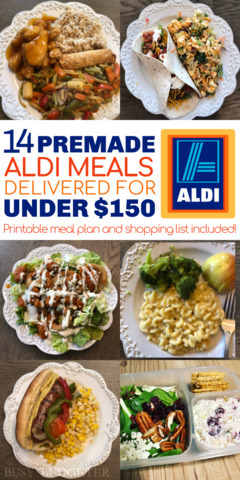 I created this Aldi meal plan as an easy way for absolutely anyone to be able to set a meal plan for two weeks and stick to it, eating at home. Fair warning? This isn’t your average meal plan where they tell you to make your own bread or soak beans (insert eye roll here). Because this is the meal plan for the people who have tried and failed at *those kinds* of meal plans dozens of times. Have no time to cook because of sports practice, unexpected overtime, etc. Can never resist the temptation of the drive-thru line. Then this list is for you! These super cheap, quick and easy meals from Aldi can get you used to cooking at home with almost no effort or will power needed. Then, you'll be graduating to other simple meal planning for beginners in no time at all. 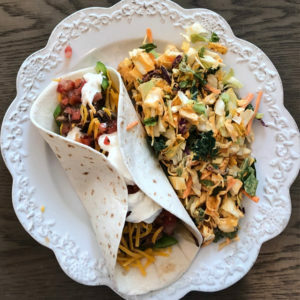 Because let's face it… it’s 2019 and with the constant demands of our families, house and work… Sometimes we just need to hit the easy button and get a list of cheap meal ideas that we can put on auto-pilot for a while. Instacart now delivers Aldi’s groceries to your door in less than two hours, which saves you an hour of grocery shopping plus the money on all of the impulse purchases that you would have bought had you gone yourself. I created this because we had so many emails from readers who could never get past the barriers of meal planning. There was always dishes piled in the sink, they never stuck to the plan, they wasted groceries, or they didn’t have the time to sit down and plan it all out. If you have an Aldi, but don’t have Instacart, you can drive to Aldi and get them there. Keep in mind though that many of the convenience foods have national brand competitors that you can easily buy at any national grocery store, although the price will likely be more. 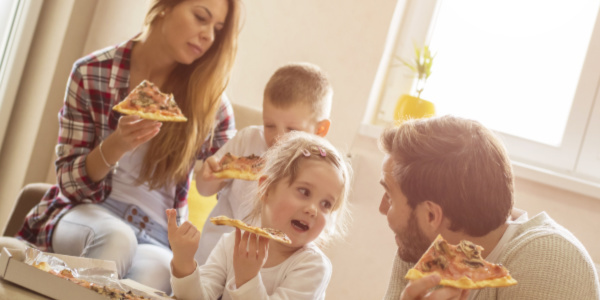 Once you get started, you can take the extra time and money you have from making dinners (because these are quicker than the time it takes you to pick up fast food! ), and use that time to start getting other areas of your home under control. We Reduced our Spending By $23,000/Year With Aldi Meal Plans Like This. This is the entire premise behind how we reduced our spending by over $23,000 a year (this method changed our life! ), paid off over $30,000 in debt and finally got our house clean and under control after years of trying and failing (fun fact: I’ve fought my way out of being chronically disorganized and it's my mission to help others like me). Do the easy things to save you time and money first, so you can spend that time and money tackling the more complicated problems. Keep in mind this list was created to counter fast food addiction and crazy busy schedules. 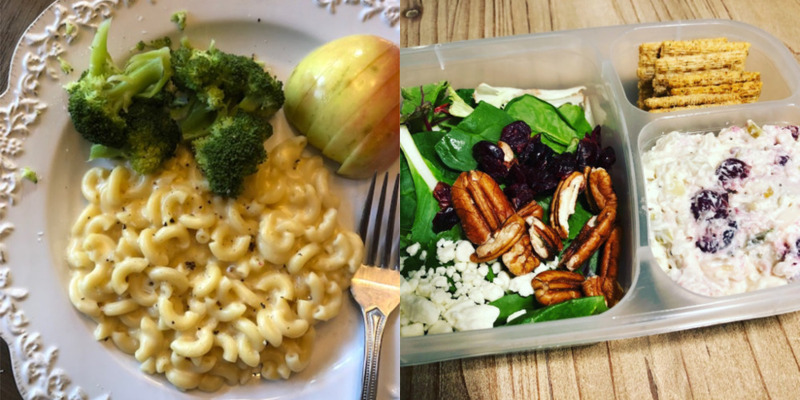 Because 15-minute meals gives you a chance to get used to cooking at home, eating relatively similar food (but creating more opportunities for veggies, and less calories and fat) while spending less than half of what you would on fast food. Once you get used to cooking at home, it’s easier to expand your horizons and move to 30-minute meals, freezer cooking or traditional meal planning. We’ve helped transform the lives of over 65,000 people teaching them hacks like this to get control over their money and their lives through step-by-step courses like Hot Mess to Home Success, and in free challenges like the 90 Day Budget Boot Camp. Which means, that we know whenever you rely on willpower to make a change, it’s just not going to happen. This is different. Because this actually works. Not sure if you have an Aldi near you? You can check their store locator here… (But you can also get similar products at your local store… although the prices will likely be higher). Is This Aldi Meal Plan For You? I made this Aldi Meal Plan with the idea that it would be perfect for two adults and two younger kids, so you may have to adjust it to fit your family. 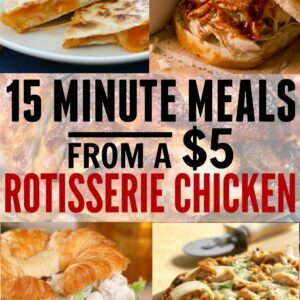 College students who need a cheap meal plan that can be made in a microwave or with a hot plate. Couples looking for easy meals on a budget for two. Families on vacation or staying in a hotel needing simple meals that can be microwaved. 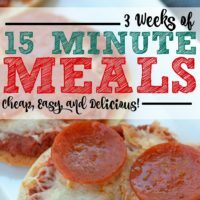 Cheap and easy dinner ideas or a whole meal plan for kids that babysitters and nannies can make easily. Save time! 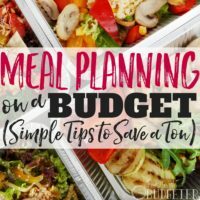 There’s no need to write these down, just print off the entire meal plan and shopping list here, so you can have everything in one spot and get it done quickly! One note: Grocery prices differ by location, (though we tend to be in an above average area) so these prices likely won't match yours exactly, but they’re current in my area as of March 2019. Italian Sausage with Peppers, Onions, and Spicy Brown Mustard Served with Baby Carrots. Add a few drops of olive oil to a frying pan and cook onions and peppers until soft (about 7 minutes). 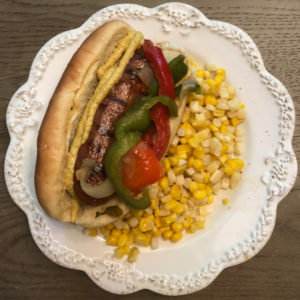 Add cooked sausage, peppers and onions and spicy brown mustard to the sub roll. Serve with baby carrots on the side. Beef Tacos with Lettuce, Cheese, Tomatoes Served with Guacamole and Tortilla Chips. Cook ground beef in medium pan until brown and crumbly (no red or pink left). Mix in taco seasoning as directed on seasoning packet. Warm taco shells in the microwave. Fill taco shells with ground beef, lettuce, tomato and then top with cheese. Serve with guacamole and tortilla chips on the side. 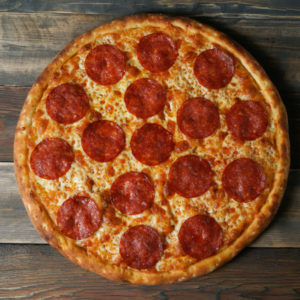 Thin Crust Pepperoni Pizza. Mixed Greens topped with Dried Cranberries, Chopped Pecans, and Feta Cheese with a Homemade Balsamic Dressing. Note about dressing: I can't believe I used to buy dressings. Even for a girl with a palate of a 5-year-old, I think homemade dressings taste a MILLION times better than store bought. And the basic ones are brainless easy (and impossible to screw up), plus they’re cheaper and save room in the fridge. Cook pizza according to package directions. Mix 4 tablespoons of olive oil with 4 teaspoons of balsamic vinegar and 4 teaspoons of honey. Mix or shake dressing (can be refrigerated for a few days and used later, we recommend letting it come to room temperature before re-using). Lay greens in bowl and top with feta, cranberries, and pecans, then drizzle dressing. BBQ Pulled Pork Sandwiches with Honey Mustard Served with Coleslaw and Baby Carrots. Cook pulled pork according to package directions. 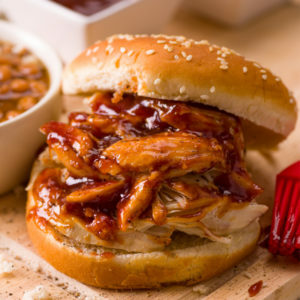 Add cooked pork to a hamburger bun. Combine equal parts honey and dijon mustard in a separate bowl. Toss coleslaw mix according to directions in a bowl. Pork Carnitas in a Flour Tortilla with Peppers and Onions, Cheese and Sour Cream with Salsa Served with Southwest Chopped Salad. Cook pork according to package instructions. Soften onions in a few drops of olive oil. Once cooked add pork, cheese, sour cream, salsa to the tortilla. Serve with Southwest chopped salad on the side. 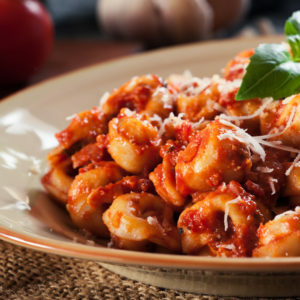 Cheese Tortellini with Pasta Sauce Served with Baby Green Beans. Heat Tortellini according to package directions. Warm sauce in the microwave. Microwave green beans according to package directions and serve. Hawaiian Chicken over White Rice, with an Asian Chopped Salad and Hawaiian Rolls. Follow package directions to prepare chicken and rice. Toss salad according to package directions. Cheesy Scrambled Eggs and Sausage Served with Blueberry Yogurt and Toasted Pecans. Add a pat of butter to a frying pan and melt on medium heat. Whisk eggs and a splash of milk in a bowl. Add shredded cheese to the bowl and mix. Add the egg mixture to the frying pan and stir frequently with a spatula. Cook eggs until no longer runny. Heat sausage in the microwave. 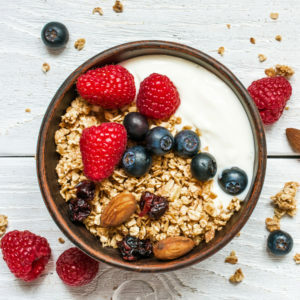 Scoop yogurt into a bowl. Toast pecans in a dry pan on medium heat for 5 minutes then top yogurt with pecans. Chicken Alfredo Skillet Served with Garlic Toast and Sweet Peas. Prepare chicken alfredo according to package directions. Bake garlic toast according to package directions. Tex Mex Chicken Wraps Served with Apples. Whisk taco seasoning, ranch dressing, and salsa in a bowl. Cook chicken tenders according to package directions. Heat black beans and frozen corn in the microwave. Chop the cooked tenders, tomatoes and lettuce. Add chicken, black beans, corn, lettuce, tomato, shredded cheese and whisk dressing on a tortilla and fold. Meatball Marinara Subs Served with Caprese Stacks. Heat sauce in the microwave. 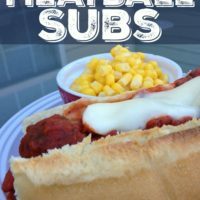 Mix meatballs and sauce and add to sub roll. Sprinkle sub with cheese and bake in oven at 350 degrees until cheese is melted. Slice Fresh Mozzarella and Tomato. Serve on the side a slice of Mozzarella, a slice of Tomato and a fresh basil leaf stacked. Bacon Cheeseburgers Served with Sweet Kale Chopped Salad and Grapes. Cook burgers according to directions. Melt a cheese slice on the burger. Add burger and precooked bacon to the hamburger buns. Toss Sweet Kale salad kit as directed. Chicken Tenders with Homemade Honey Mustard Served with Apples and Carrots. Cook chicken tenders according to directions. Combine equal parts honey and dijon mustard in a bowl and mix well. Slice apples and remove the core. Serve apple slices and baby carrots on the side. BLT Sandwich Served with Chicken Broccoli Cheese and Potato Soup. Cook bacon in the microwave according to these instructions. Wash Lettuce leaves and cut tomatoes into slices. Add lettuce, tomato slices, bacon and mayo to the bread slices. Heat soup according to directions. In case you don't like one of the options above, we have two bonus meals that can be subbed out. (These are also included on the printable meal plan and shopping list). Mandarin Orange Chicken over Sticky White Rice Served with Stir Fry Vegetables and Pork Egg Rolls. Prepare Mandarin chicken, rice, vegetables, and egg rolls according to directions. Serve the orange chicken over rice with vegetables and egg rolls on the side. Cranberry Almond Chicken Salad with Thin Wheat Crackers Served with Mixed Greens with Feta, Cranberries, and Pecans topped with Oil and Vinegar. Add chicken salad to the crackers. Add spring mix, feta crumbles, cranberries, and pecans to a bowl. Toss dressing and salad ingredients. 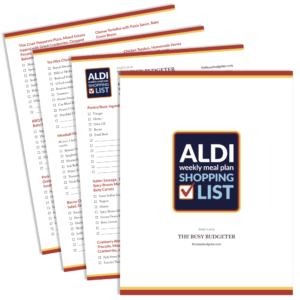 Print the Entire Aldi Meal Plan and Shopping List Below for Free. Make it easy and print off the entire meal plan and shopping list here. Then just cross off the meals you don’t like and add any extra things you want. Simple and easy! Do you have any other meals for Aldi that would work in this list? Let me know in the comments below. 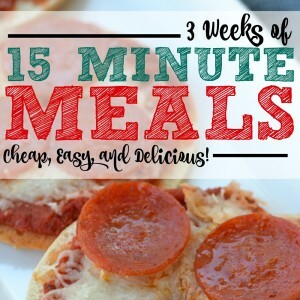 Want more easy 15 minute meal ideas? You can find them below! 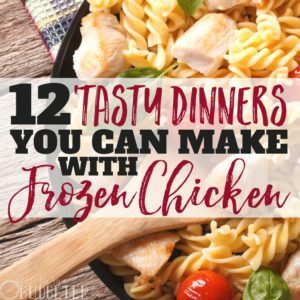 12 Tasty Dinners You Can Make With Frozen Chicken. 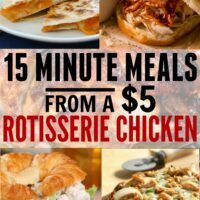 15 Minute Meals From a $5 Rotisserie Chicken.